Xiaomi today launched it’s Xiaomi Mi TV 4 with 4K resolution and HDR support in India. The Xiaomi Mi TV 4 is the world’s thinnest LED smart TV, it is thinner than most smartphones. The Mi TV 4 is 4.9mm thin and comes with almost every feature a user needs in a smart TV. 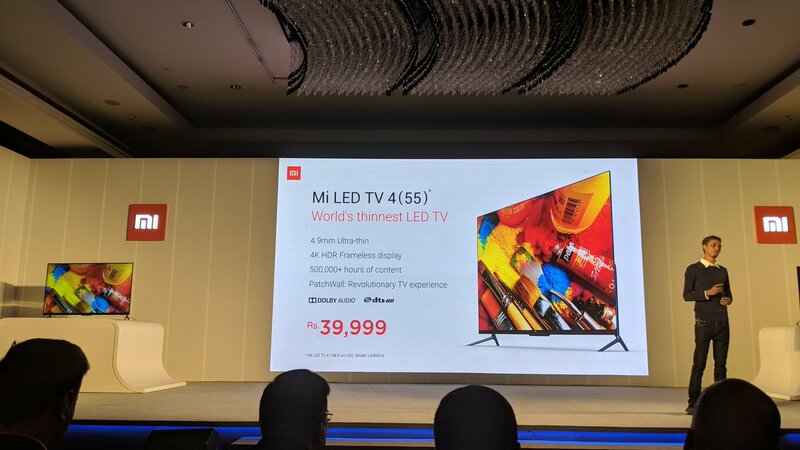 The Mi TV 4 has been priced at Rs. 39,999 and will be available exclusively from Flipkart. The Xiaomi Mi TV 4 comes with a 55 inches 4K UHD panel which comes with HDR support. The Xiaomi Mi TV 4 runs on Android OS which is layered with Patchwall UI with deep learning technology to learn about the user’s interests and provide relevant content on the home screen. It comes with 500,000 hours of content available across 15 Indian languages. 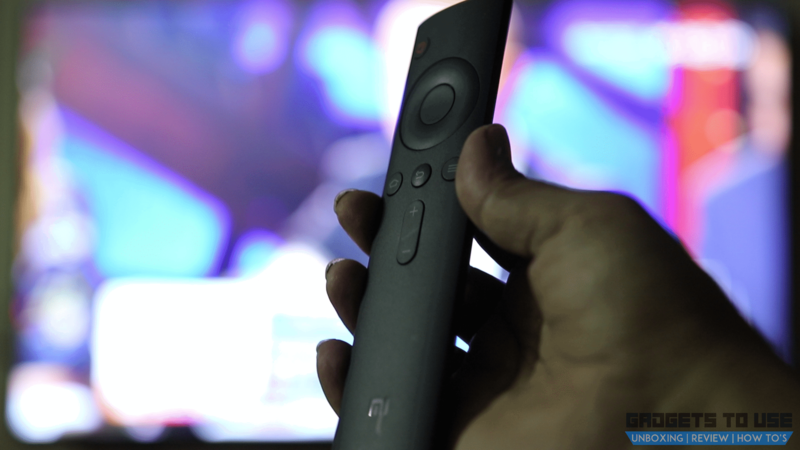 The Mi Remote comes with a microphone built-in which can be used to type something or search on YouTube. The Mi TV 4 runs on a quad-core processor with 2GB RAM and 8GB of internal storage which can be expanded via the USB ports provided. For connectivity, the TV comes with 3 HDMI ports, one of which has a audio support, two USB ports but lacks a VGA port. The Xiaomi Mi TV comes with a price tag of Rs. 39,999 and is available exclusively on Flipkart. The television will also be available from Mi Home stores across the country.